View the beautiful effects of colorful mylar shapes on the Light Cube!Today’s lesson was to experiment with different printed shapes and colors that can be overlapped to create new appearances. These mylar shapes were made from tinted transparency sheets. You can find colored transparency sheets at your local dollar store… as page dividers! Cut out simple shapes such as triangles, circles and squares from these special plastic sheets. Incorporate math lessons with your Light Cube exercise. Teach your students about geometric shapes and their properties! Ask students to describe the shapes to you. We asked our art camper Jasmine to combine the shapes together and see what kinds of new colors she could make. Each of the shapes were cut out of differently-colored transparency sheets. These colors, when overlapped, create new color combinations! The sheets are transparent, meaning that you are able to see light through them. 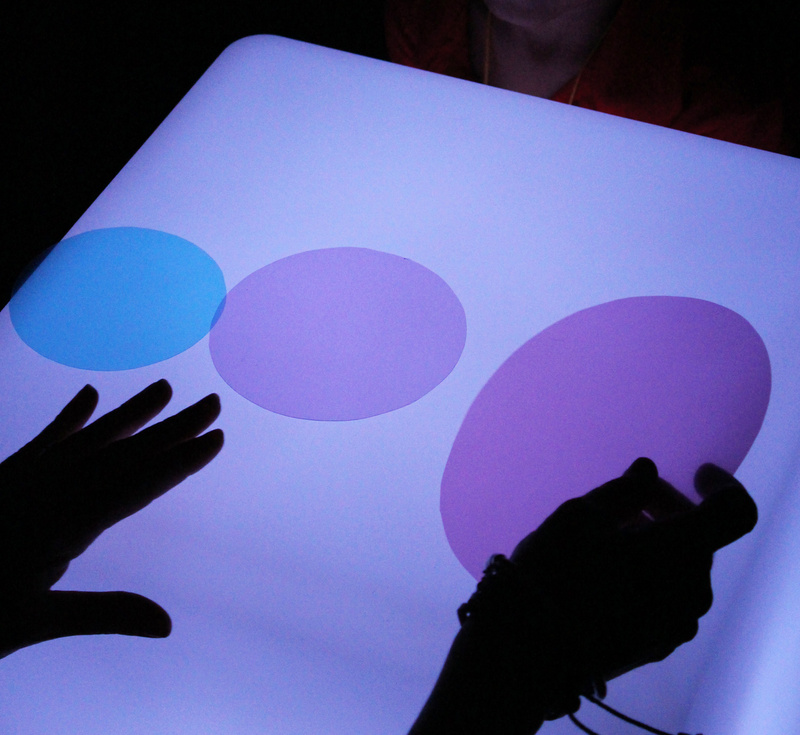 Place the sheets onto the Light Cube and turn on the strobing color function. Watch the transparent sheets change color as they reflect the light underneath. Explore the meaning of transparent, translucent and opaque. Experiment further with other objects to see the differences between their transparencies. 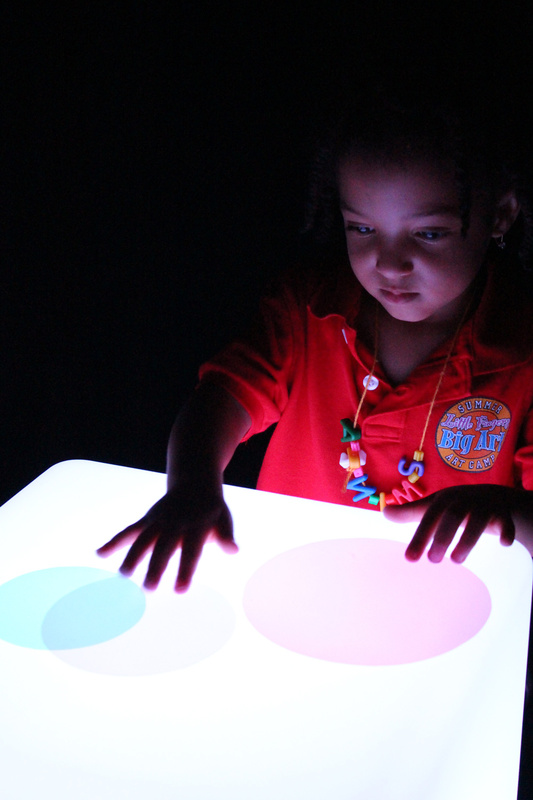 This entry was posted in Math, New, Science and tagged educational, light box, light cube, light play, light table, materials, montessori, reflective, reggio, sensory, transparency by roylcoblog. Bookmark the permalink.